Harley Davidson custom bobber 883cc Complete rebuild. zodiac hardtail one of frame. 16inch wheels front and rear. Wide glide front forks. Twin disc on the front, single disc on the rear with new brake pads and pipes. Daytona drag pipes. Forward control foot rests. Belt driven , 5 speed gear box. Led rear lights and twin halogen front lights. One off single custom leather seat. Rides lovely, sounds very nice too. This is my second bike i have built, unforeseen circumstances have led to the sale of my beloved bike. Immaculate condition, drives as well as it looks. Any question please dont hesitate to get intouch, selling on behalf of my dad. So can pass his number on. 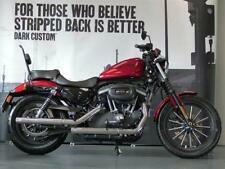 Vance and Hines full exhaust system, sounds truly amazing, that’s real harley sound. Matt black looks aggressive and great for both city riding and touring. Genuine Harley passenger foot pegs. FANTASTIC ONE-OFF SHOW WINNER!! PRICE DROPPED BY £750!! 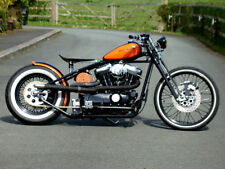 1989 HARLEY SPORTSTER BOBBER 1200. The fenders have been chopped down for the bobber look. The front is not currently fitted-I prefer the naked look however ive loosely slipped it on to show in one of the pictures. Custom made oil tank and fuel tank, wire wheels with new tyres. Viewing is essential. Location ulverston Cumbria. MOT'd until FEB 2020. 1998 Harley sportster 1200 hardtail chop built by attitude cycles and good bits added along the way. Harley Forwards. Text or call Carl. Engine is on the 19,500k mark, a solid bike that runs like a train and handles. Bike is belt driven 5 speed box the bike is not a shed built bike its a professional build by fenland choppers at wisbeach, avon tyres white walls like new, Springer seat, dna springer forks the proper hard tail lol, bike runs nice and smooth no faults the bike has only done 9.5k miles, mot to back this up so really low miles, old school starter button on the side of the starter motor, sounds mint nice and loud. It started life as a 2009 XL883 but was professionally converted to 1200 by Sycamore whilst being customised. You have to see it in the flesh to appreciate it. It was one of their custom builds and as soon as I saw it I knew I had to have it. Here is my 1942 Harley Davidson WLA. It has matching belly numbers 42-2908. The springer forks are in good condition, it has had alloy high compression heads fitted and modernised bits and pieces, suicide shift - it's a Bobber! 2006 'last of the carbs' Sportster with 13000 miles. Loads of extras including stage 1 tuned, dual seat, LED headlight. MOT till April 2020 no advisories. Brand new Cobra tyres. Owners manual, 2 keys and all receipts since new. 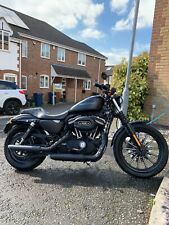 2017 Harley Davidson 883n Iron, Denim black, 1826 miles. MOT 25/01/2020. Harley Custom Night Train. Full Service History. Full 99 Point Check By HD. Custom Copper Plated Springer Front End. In a japan bobber style, handmade handlebar, clutch brake,clutch brake levers, aluminium polished fuel and oil tanks, unique hand build exhoust, etc. To many custom parts to be lisated. Just see all pictures. Excellent condition. Advertised elsewhere so may end early. £200 deposit, cash on collection. 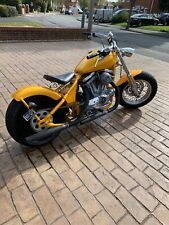 Custom Harley Davidson Motorcycle, Bobber, Chopper 1200cc. Custom Harley Davidson 48 Bobber, Chopper 1200cc. The endless minor details and high quality engineering has created this one off bobber. The paint on the fuel tank alone took 38 hours and is outstanding, the tank was imported from the US and holds 4.5 gallons. 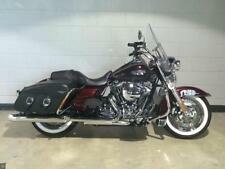 2003 Harley Davidson 883XLc Hard Tail Bobber. CASH ON COLLECTION OR BANK BACS TRANSFER ONLY. Blue Led Lights Highlight The Engine. New Braided Cables & Braided Brake & Oil Lines. New One Off Alloy Oil Tank & Battery Box. Thousands spent so this is a real bargain. The original 48 fuel tank in gloss black no logo. Progressive monotube front suspension kit with external preload worth (£400). Turn signal switch extenders. Harley Davidson Sportster bobber. There is no doubting the old school look of this bobber with;. Attitude Cycles. The impressive fat spoke wheels consist of a 21" front and a chunky 300 rear! We've used a sprocket brake on the rear to keep one side of the wheel free to show it off. harley davidson. screamin eagle hardtail bobber. Harley Davidson. Sreamin eagle. Hardtail Bobber. Also Harley Davidson boots size 9. cost £150. 1800cc of sreamin eagle. Digital moto gadget speedo. Recently reduced. When building this bike, it was started with a mint condition and low mileage (less than 20k) Buell Ulysses XB12X. Buell front used forks (showa). Original Buell wheels with new All Balls racing wheel bearings. This is not your usual sled. This has had serious modifications and is evident in its performance. This is not for the fait hearted. Moto gadget Bar end indicators. Oil pump upgrade. Upgraded lifters. Very unique bike, custom open belt drive, custom exhaust and excellent condition. Black, 2 previous owners, £9,299. AS COOL AS A POLAR BEARs ARSE !! Harley 1991 sportster 1200. Custom Harley discs with custom cut design polished matching front and back. The exhaust is custom tig welded stainless steel pipe with reducer in the pipes. Pipes outside dia 50mm with new gaskets and wrapped in gold exhaust wrapping. Hayball Motorcycles Ltd - You are welcome to pop in for a browse and a complimentary coffee or tea. - Call us on 441722441383 or click here to find out more.